Continuing with Photographs, but not my family this time ………………. 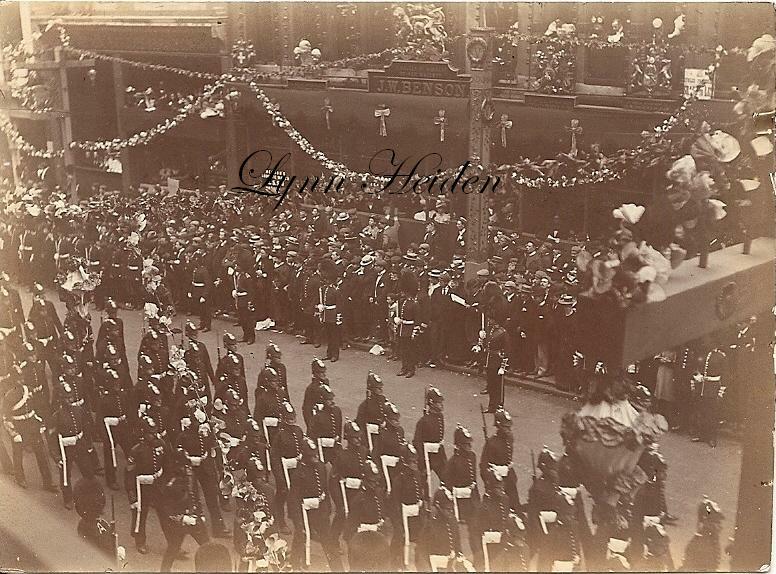 Now that our Queen Elizabeth’s very special Diamond Jubilee weekend has come to a close, I thought you might all like to see this lovely set of 6 Photographs, which I believe to be originals, on the envelope they were in, it says they were taken from Ludgate Hill 1897. I bought these about 7 or 8 years ago from a little Antiques fair that was held in Emsworth and I just loved them. There are some lovely hand written notes on the back of some, which I will put under each Photograph. Hope everyone had a lovely weekend despite the weather.. If you click on Photographs it brings them up larger for you to have a better look……..
No 3. Sir G.H.Reid,Premier of New South Wales. No 4. 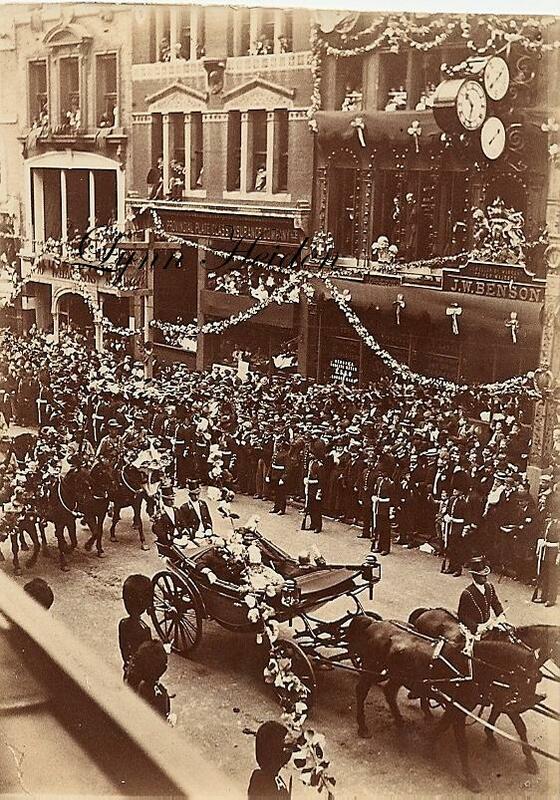 Lord Mayor in Advance Queens carriage. No 5. 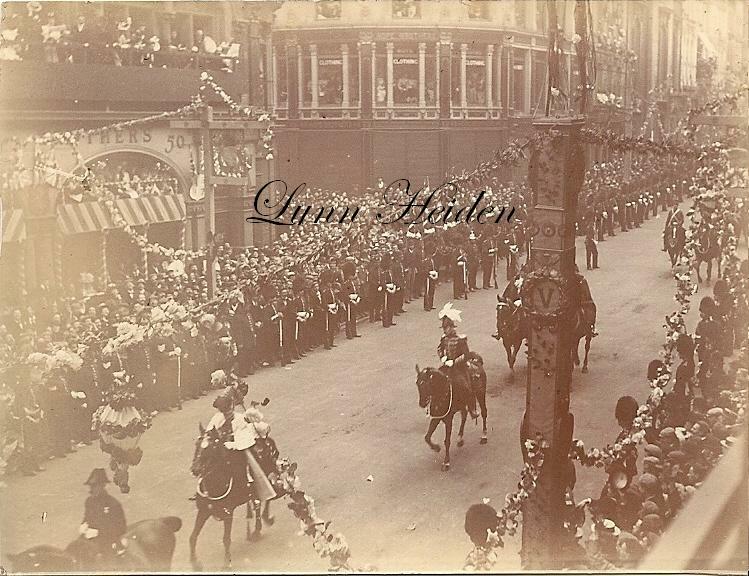 The Queens carriage drawn by 8 Hanovarian Cream coloured Ponies. 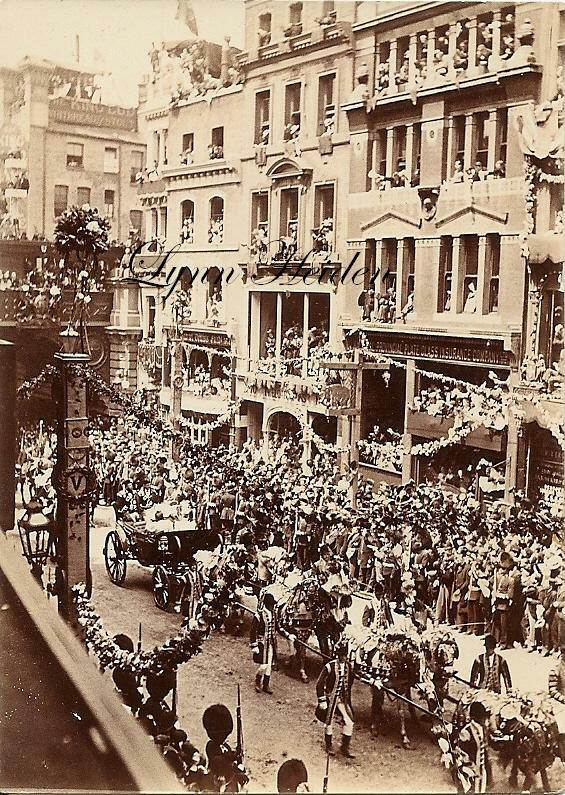 The Queen hid under a white parasol. No 6. 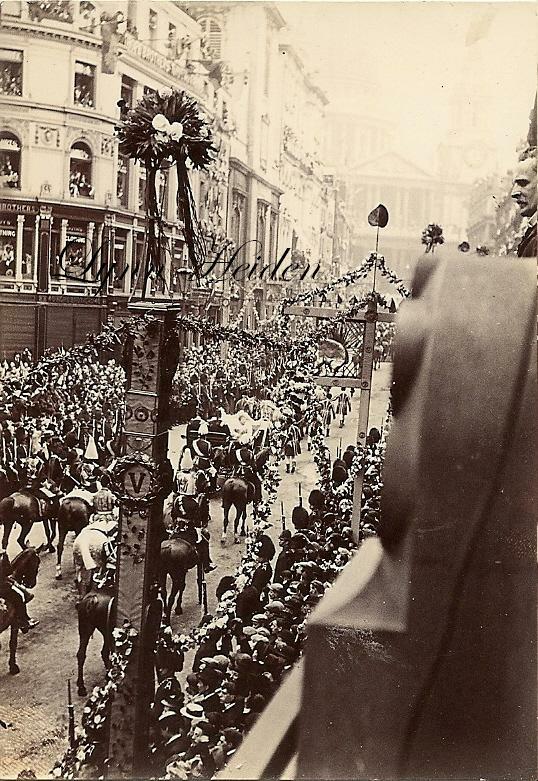 A fine photo of Princess Christian sitting opposite Queen on right. 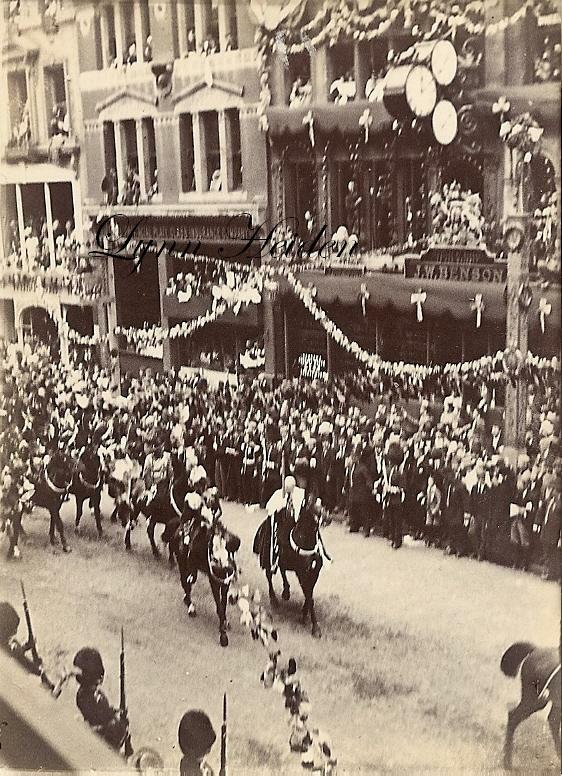 The Queens white sun shade hides the Princess of Wales–Prince of Wales immediately between carriage on Horse-back– Look at through a glass for detail. Surely it was her 3rd Jubilee, not her 60th! The others being the 25th and 50th. Brilliant. You're one of the reasons historical items gets saved and seen. I'm sure a great many people would have tossed them out as rubbish. Well done!